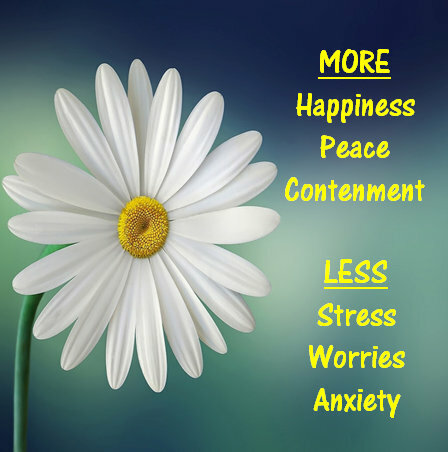 Discover True Happiness - Transform your Life! One Day of Endless Energy & Excitement! 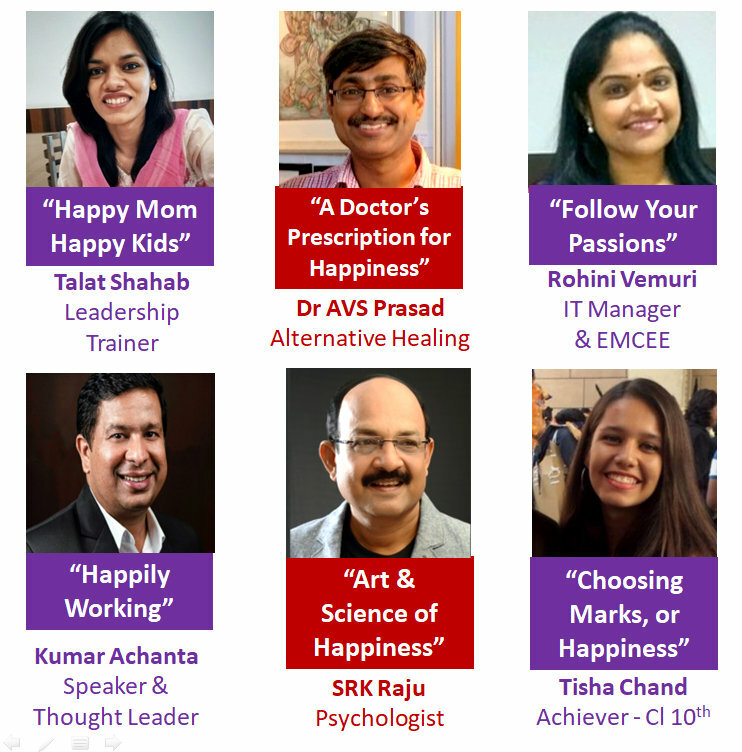 We have Twelve Happiness Experts from different walks of Life who will take you on a journey of Happiness, present their stories and experiences and share their Happiness Mantras. Please Note - Children below 14 years will not be allowed in the venue. Student Charges - Rs 1500 only for students from 14 years to age of 21 years on the day of booking Note:-Age Verification through ID is needed. we have worked out certain options for you. Please visit our website www.happinessnow.co for details. 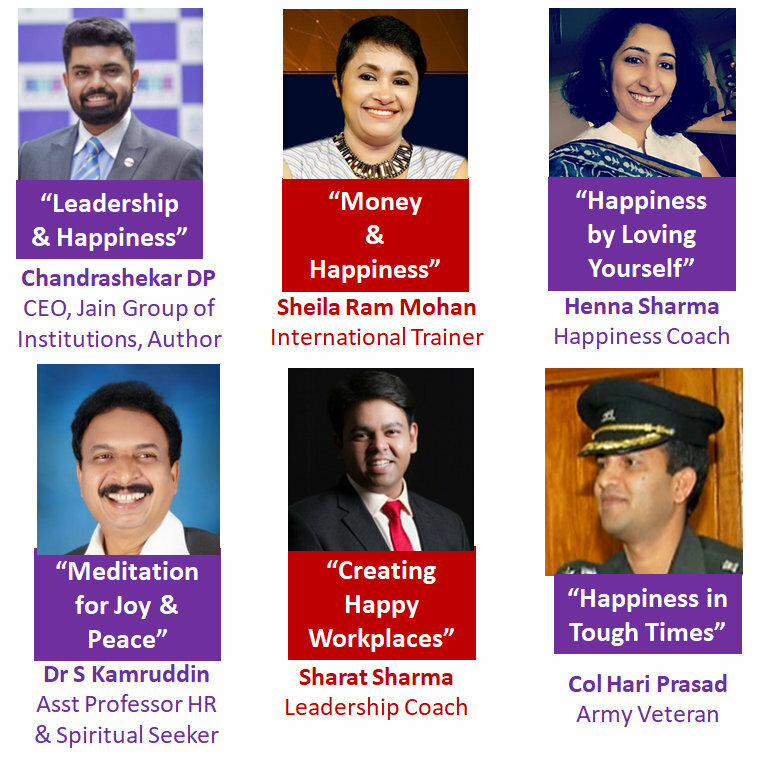 Col Riyaz Khan is a Wellness Xpert has over 31 years of professional experience of which 21 years were in the Indian Army, He believes that giving back to the society is the purest form of Happiness. 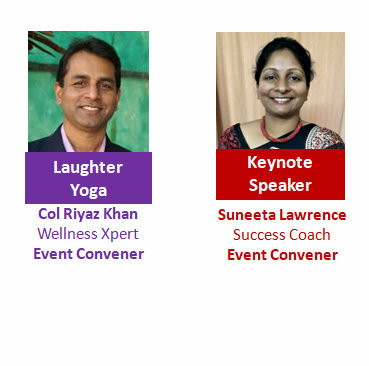 Suneeta Lawrence is a Success Coach with a professional experience of 19 years, who is an Associate Certified Coach from the International Coach Federation. Happiness in her terms is to be able to do acts of kindness in a genuine and impactful way.